A few years ago USA Network launched a “Characters Welcome” campaign designed to give viewers an idea of, presumably, the kind of material they could expect to find on their station. The gist of the campaign was that on USA Network one could find shows with interesting, unique, funny, compelling, or provocative characters rather than shows that contained too much style without any human substance. And while I don’t know if the network was successful in re-creating their image with that campaign, I do know that Psych, which appeared on the scene around the same time as the “Characters” network reinvention, certainly has personality to spare. 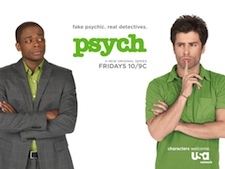 Set in Santa Barbara, California, Psych follows Shawn Spencer (James Roday), a drifter of sorts who has never been able to hold down a job, a girlfriend, or even a reliable vehicle. From an early age his by-the-book policeman father Henry (Corbin Bernsen) taught him to be cognizant of his surroundings, taking in all the details of his surroundings and noting even the smallest details that might seem insignificant to most other people. The goal was self-reliance, but the result was a son with a near-terminal case of ADHD who has a hard time taking anything seriously. Now in his late 20’s, he gets money by calling in the police tip hotline when he notices subtle clues on newsreel footage that help lead to the arrest of local small-time crooks and other such riffraff. Meanwhile his childhood friend Gus (Dulé Hill) is an über-responsible pharmaceutical salesman and despite the different paths the two have taken in life, they are still friends and pal around together. Juliet O'Hara, police detective and Spencer's love interest. In the first episode Spencer is at the police station collecting his tip reward when he uses his powers of observation to “read the minds” of a crook and a few policemen. Picking up on clues like debris on clothing, unconscious hand gestures, body markings, and even discarded trash, he is able to infer key bits of information about the personalities of people around him. The twist, though, is that Spencer convinces people that he has psychic abilities. After using his fake abilities to solve a murder in the pilot episode, along with some help from straight-laced Gus, the two of them set up a private detective agency that they work from throughout the rest of the season. USA Network prides itself on unique and interesting characters, and Psych has that down in spades. Each person in the show has more personality than all the one-dimensional people and aliens in Avatar combined. Roday is dripping with high-school-dude charm, and he is instantly likable from the get-go. His fake psychic antics, while often ridiculous, are plenty amusing–especially when he is channeling Jim Carrey and Steve Martin with outlandish physical movements and contortions as he pretends to receive messages from the spirit world. Gus, playing the classic role of the straight man, is the perfect foil for Spencer, often telling him how ridiculous their plans are, how impossible a given case would be to solve, and how the two of them will no doubt get into a world of trouble for embarking on whatever hair-brained idea they come up with next. And yet he inevitably goes along with the plan nonetheless. 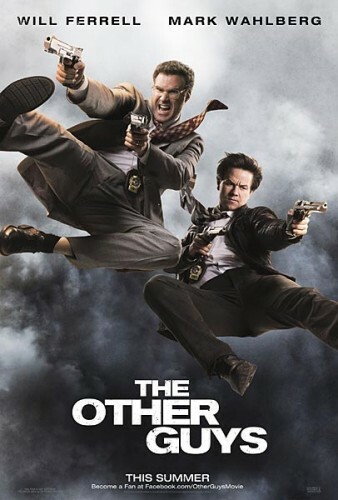 It’s the classic buddy cop formula that has worked for decades (Riggs and Murtaugh, Tango and Cash, Burnett and Lowery, even Carter and Lee), and Spencer and Gus are entertaining enough to carry the show even when the plot gets pretty ridiculous. Each episode follows a similar formula: They typically begin with Spencer as a kid in the mid-80’s learning, often through his own mistakes, a life lesson (look for creative solutions, don’t give up, don’t gamble, don’t cheat, etc.) from his harsh but loving father. Then we join Spencer and Gus at their office in the present day. Soon enough they stumble across a mystery by way of a newscast, reading the paper, walking by a crime scene, or just by having a client drop in looking for a psychic to help them find a missing loved one or solve a problem they can’t take to the police. 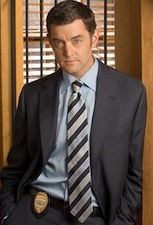 Spencer and Gus go investigate, inevitably run across stuffy Detective Lasseter (Timothy Omundson) and his partner, the perky but ambitious detective Jules O’Hara (Maggie Lawson) and police chief Karen Vick (Kirsten Nelson) who are often trying to solve the very same case. In almost every episode Lasseter is stubbornly barking up the wrong tree, while plucky Spencer notices a handful of clues such as a lock of hair, footprints, broken glass, a misplaced business card, and the like, overlooked by the detectives but key to the investigation. Spencer then uses these clues to piece together the solution to the crime, while waving his hands about and flailing around to pretend he is getting his information from sources in the hereafter. Detective Lassiter can't stand Spencer but comes to appreciate his usefulness. It’s a reliable formula, and for the most part it works: This ain’t Law and Order, folks. 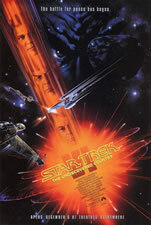 But for the first few episodes I was exceedingly frustrated with the show. The police detectives are so inept, the cases so far-fetched, and the “fake psychic” element so overblown that the entire show just seemed stupid. But the ridiculousness of it all is kind of the point. Psych doesn’t take itself too seriously, and neither should the viewers. In fact, by the end of the season I appreciated its lighthearted take on the TV detective show genre–almost as if were an antidote to the endless heavy-handed detective shows out there. It’s just lighthearted entertainment, and eschews the dark murder investigation and blood-n-guts shock factors of other shows in favor of silly antics and old-fashioned whodunit crime solving. In fact, the worst complaint I can level against the show is that at times it’s just too ridiculous. In “9 Lives” Spencer claims to get information from a cat, “Cloudy…Chance of Murder” has him joking around in a courtroom murder trial and eventually becoming a legal consultant, and in “Poker? I Barely Know Her” he pretends to communicate with poker chips. Scenarios like this take things just a little too over the top and dangerously close to frustrating, as if creator Steve Franks is insulting the intelligence of his viewers. But this is escapist entertainment, and as someone who enjoyed Ace Ventura, I don’t think I can complain about Psych being a bit too outlandish. It’s good clean entertainment, so long as you check your brain at the door. But then, that’s kind of the point. Law Abiding Citizen is one of few movies that I have seen that actually give an accurate portrayal of the legal world. Foxx and Butler both turn in tour-de-force acting jobs and involve the audience in their struggles. We tend to root for Nick, and yet we can’t help but feel angry with him for chickening out and playing politics. Meanwhile, it’s fun at first to watch Clyde get his vengeance, but he goes way too far.